I am pleased to introduce guest blogger Ashley Connolley from Northeast Water Wells who is here to discuss some of the potential issues a home owner can face from the recent record breaking storms and flooding in the Metrowest Massachusetts area. Ashley was kind enough to drop by and give some things to consider regarding the potential for contamination in our local wells. Testing a Massachusetts well when purchasing a home is always an important consideration but even more so with the storms we have experienced recently. With all the recent rain it’s really played a toll on our septic systems and in turn our wells. Residents all over New England could be at risk for several different contamination factors due to all this rain. Shallow wells such as, dug wells, point wells and others are particularly at risk for septic, fertilizer, salt and many other contaminants due to the flooding. When the water table is as high as it currently is and we experience high volumes of contamination hits in regards to water quality. Bacteria being the biggest contaminant found. If you have a dug or point well being used for residential/ potable applications it is highly recommended that you have a comprehensive analysis preformed on your water. Not only shallow wells can be affected by this flooding a deep well otherwise know as drilled or artesian are also apt to have contamination hits. How you might ask? The well the most common reason would be that a lot of wells are in a well tile or are improperly sealed. Subsurface wells are particularly at risk of contamination due to the fact that they are underground. A lot of wells throughout New England have been exposed to septic overflows and could have potentially contaminated the underground aquifers. 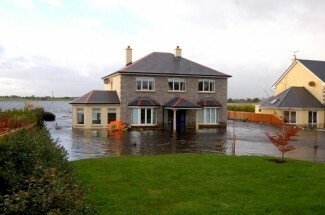 Now this article is not meant to scare you, but to inform you of the risks that occur when severe flooding is experienced and how to protect yourselves and your families. The only way to know your safe is to have your water tested. Bacteria is an absolutely remediable contaminant in most cases. A thorough chlorination of the well will rid the system of any and all bacteria’s. It is always recommended to retest the quality a month to three months after the chlorination treatment is preformed to insure that it was effective. There are however some instances where the bacteria issues are persistent and chlorination does not cure the problem. There are UV or Ultra Violet Filtration systems in which the water passes through the light and the light eliminates 99.9% of the bacteria. Now you may ask what the common types of bacteria found e.coli are and coli form is the most common present bacteria’s. There can be warning signs that bacteria is present in the form of stomach upset and bowel issues. 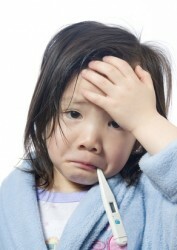 Children, the elderly and immune suppressed individuals are the highest at risk to show symptoms. I have found Northeast Water Wells to be excellent at handling any type of information needed surrounding Massachusetts well water. If you have any further questions in regards to the flooding or contaminants, please do not hesitate to contact Ashley Connolly a representative at Northeast Water Wells Inc Her contact information is Ashley@wellguy.com or 1-800-562-9355. Northeast Water Wells is my vendor of choice when one of my buyer clients is purchasing a home because of their vast knowledge and great customer relations! Next post Make Sure You Get Your Massachusetts Short Sale Debt Released!